Rest in peace, Officer Farrell. You deserve your divine reward. My family and I would like to extend our sincere condolences to the family, friends, and fellow co-workers of Police Officer Susan Farrell during this very difficult time. May they find comfort and support from those around them. May God help heal their aching hearts and wrap them in his loving embrace. Rest in peace, Police Officer Susan Farrell and thank you for your service. My Deepest Condolences to Susan's & Carlos's Families, Friends, Department, Community, Country. Today's a Celebration of Life & a Symbol of Victory over Evil ... Easter. Thank You Susan & Carlos for your Unselfish & Brave Service. Prayers of Comfort are sent to All Who lost Loved Ones that horrible Day. A Blue Silk Rose for LE & A Red Silk Rose for Military & a White Silk Rose for our Allies & Victims of War & Crime, will be laid at the Vets Memorial , Jonesboro, AR. this Easter. RIP Susan & Carlos , A Daughter & A Son of Valor, with Honor. 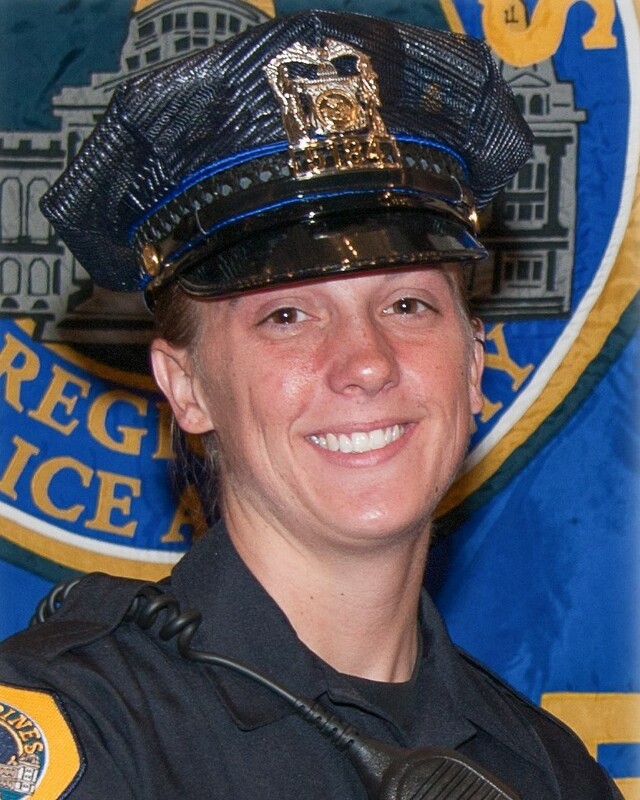 Thought and prayers to Officer Farrell's family, friends, husband and her little girl. I heard the awful news on our local tv station about this accident. As a former citizen of Des Moines, it saddens my family that another officer gone too soon. RIP- Susan And Carlos may they never be forgotten as the heroes the were and still are keep heavens streets safe. It is never enough to say you have our condolence or rest in peace or God bless when a loved one is lost and we in the law enforcement community all feel the loss too, when one of our own is lost! Only time takes some of the hurt away, but the loss is still there and they are always remembered. May we always keep them in our thoughts as we continue in our jobs for their time and sacrifice on behalf of the communities they served. Very sorry for your loss!! TO THE FAMILY, FRIENDS AND COLLEAGUES OF DES MOINES POLICE DEPARTMENT, POLICE OFFICER SUSAN FARRELL. My heart is filled with great sadness at learning of the lost of your loved one and fellow Police Officer. We in the law enforcement community are a family, although our uniforms may be a different style and vary in color, a badge, shield or star may be pinned upon our chest. Our areas of enforcement may vary but our goals are the same, to serve and protect our communities. We consist of many different agencies from across the nation, for we are: Municipal Police Officers, Sheriff's Deputies, State Police Investigators, State Highway Patrol Troopers, Conservation Police Officers, College Campus Police Officers, Correctional Officers and Federal Agents just to name a few. We patrol small towns, large cities, college campuses, county roads, state highways, state prisons, county jails, state parks and the United States Borders. Daily we honor our fallen brothers and sisters never forgetting their sacrifice and the sacrifice of their families. Daily we show pride in our chosen profession LAW ENFORCEMENT, for we willingly walk the line of good over evil facing the unknown with courage keeping our trust and faith in GOD. BLUE LIVES MATTER - If we don't respond to that call for help, or investigate that suspicious subject, or stop for that stranded motorist, or rush to that call of shots fired then who will? You sacrificed your life in the service to the citizens in the City of Des Moines in the State of Iowa with HONOR, PRIDE and DISTINCTION. I'm proud to call you my Sister! I commend you my fallen sister for making the ultimate sacrifice in the performance of your duty. Most importantly doing what you loved to do..........Serving and Protecting your community with Honor and Pride making a better and safer place for us all. FOR THOSE WHO FIGHT FOR IT, "LIFE HAS A FLAVOR THE PROTECTED WILL NEVER KNOW". Officer Farrell status............Officer Farrell status.............. Officer Farrell status................Attention All Units............. Des Moines Police Department, Police Officer Susan Farrell having served the citizens in the City of Des Moines in the State of Iowa with HONOR, PRIDE and DISTINCTION is now 10-42. Rest in Peace my fallen Sister, YOU WILL NEVER BE FORGOTTEN!!! Rest in peace Officer Susan Farrell. You are a true hero. Thank you for your service and thank you for protecting us while you were here, and please look after us. Your family, and you paid the ultimate sacrifice. Real heroes never die. We have it from here. Rest easy sister. Thank you for your service and the sacrifice you gave for this country.RIP.GOD BLESS YOU AND YOUR FAMILY. Thank you Officer Farrell for your service and for paying the ultimate sacrifice for the fine folks in the great state of Iowa. You are a true American HERO. My thoughts and prayers are with your family, friends and co-workers. My you forever, rest in peace, my sister. Officer Farrell, thank you for your service to the people of Iowa. So long as those who know and love you keep you in their hearts and minds, you'll never truly be gone from them. OUR DEEPEST SYMPATHY TO THE FAMILY OF OFFICER FARRELL , AND ALL THOSE WHO MOURN THE LOSS OF OFFICER FARRELL. OUR THOUGHTS AND PRAYERS ARE WITH YOU DURING THIS DIFFICULT TIME. HER SERVICE WILL BE GREATLY MISSED IN YOUR COMMUNITY AND HER DEEDS NEVER FORGOTTEN. My Condolences for both. Rest in Peace Warriors. Your work is complete. Final Salute Officer Farrell, Thank You for your service. You are a Hero. Rest peacefully in the presence of God. We are praying for the family and fellow officers. Please accept my sincere condolences in Officer Farrell's untimely passing. May she rest forever in the loving presence of Christ our Savior. RIP Sister, thank you for your sacrifice and thank you for your service, may the lord watch over your family and friend, nay he guide you home in his welcoming arms, Rest! Rest in peace Sister Susan. RIP Officer Farrell. Thank you for your service dedication & sacrifice to LE. May God be with your Family and all LE. RIP Sister. Prayers for family, friends and coworkers.